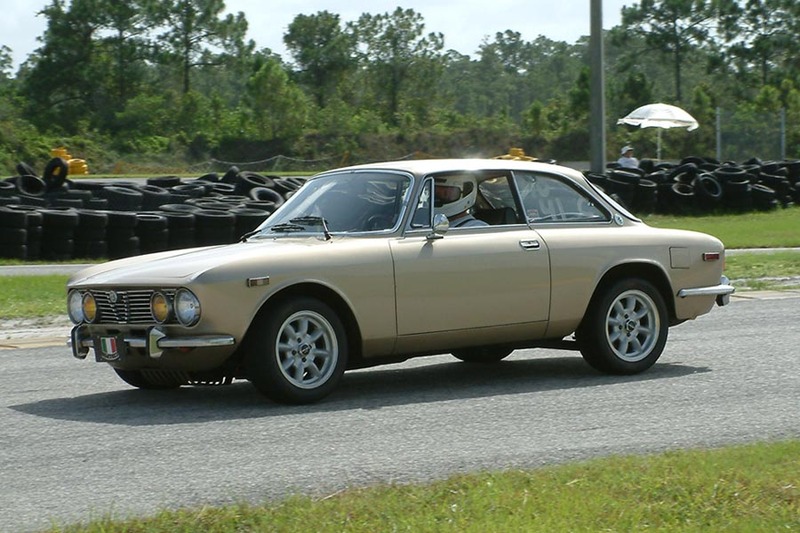 ALFISTI: Those with the heavy right foot attending the Convention had a blast driving at the Moroso track. What a day. 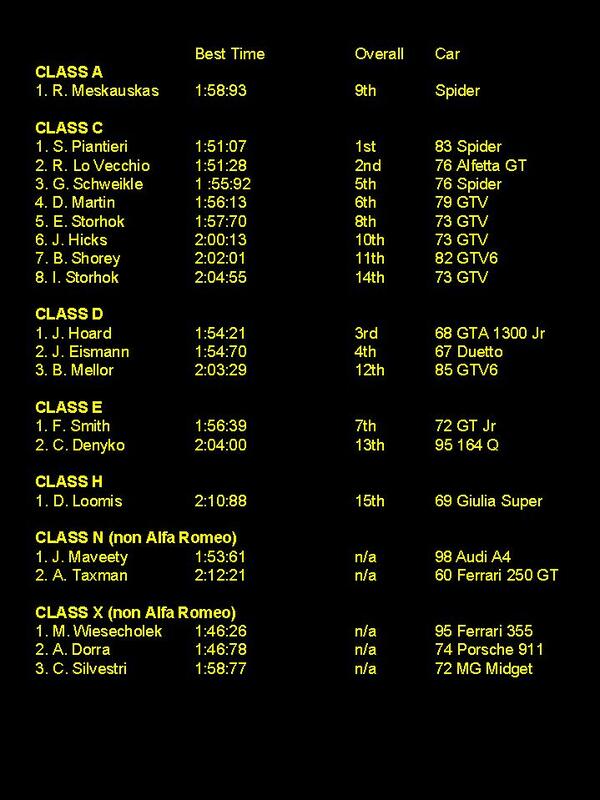 Congratulations to Steve Piantieri for finishing first! See pictures below and the standings. 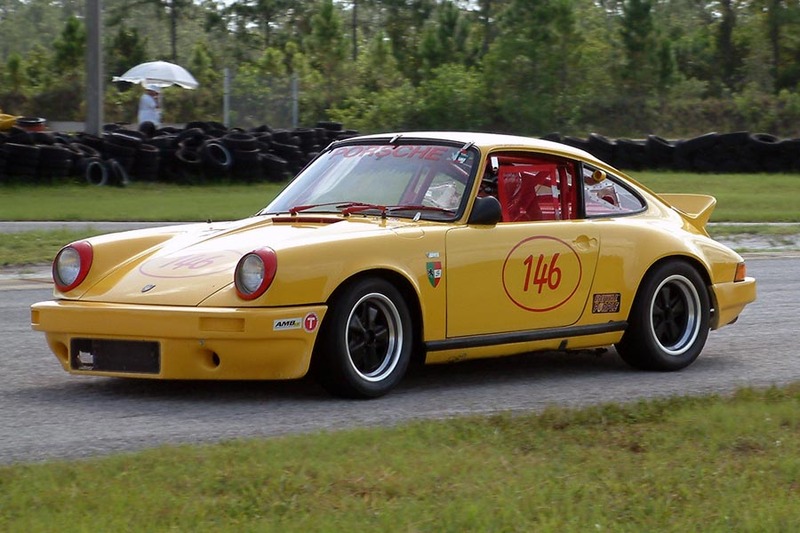 Steve Piantieri in his yellow spider.... thumbs up! 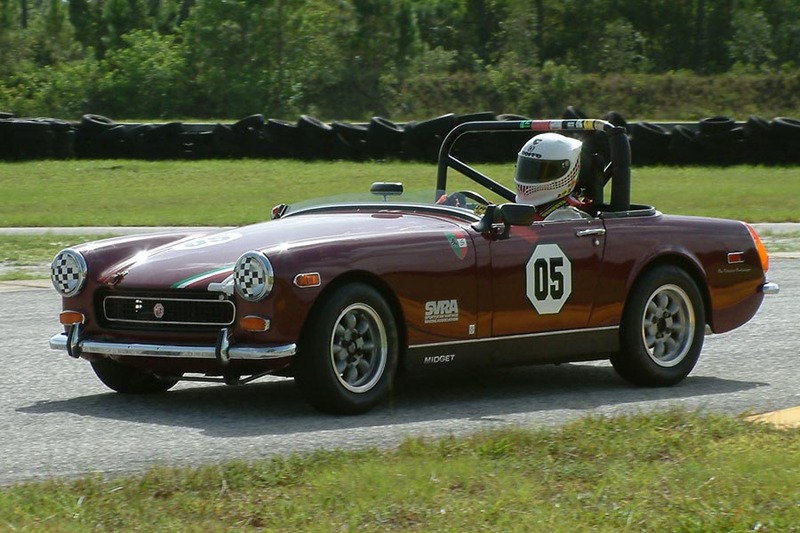 John Hoard and his GTA 1300 Junior negotiate a turn at Moroso. 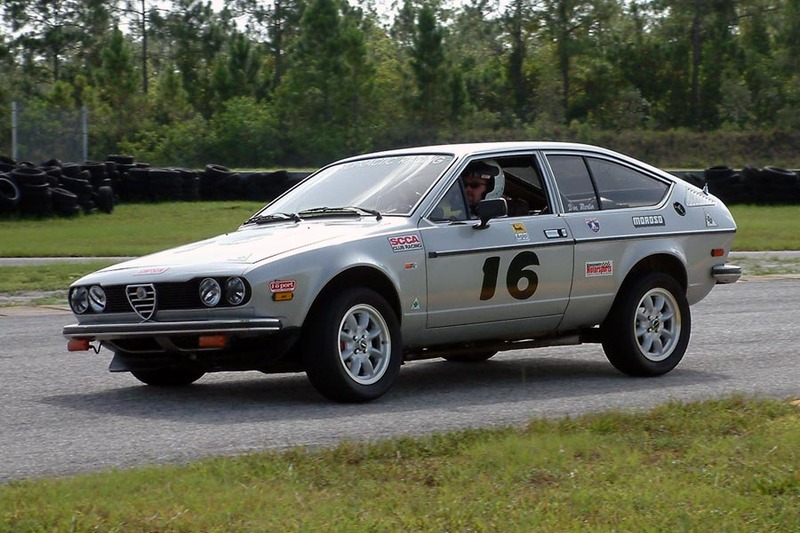 Ric Lo Vecchio did very well in this very nice Alfetta GT. 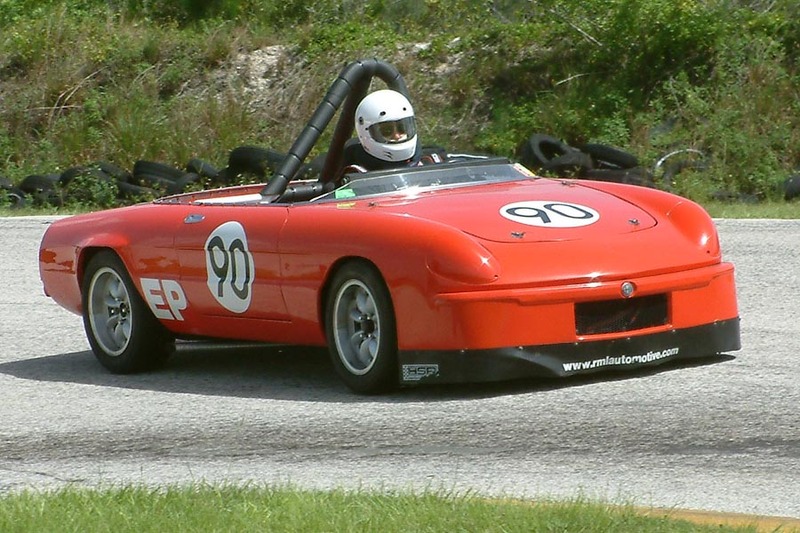 George Schweikle in his heavily modified Spider. 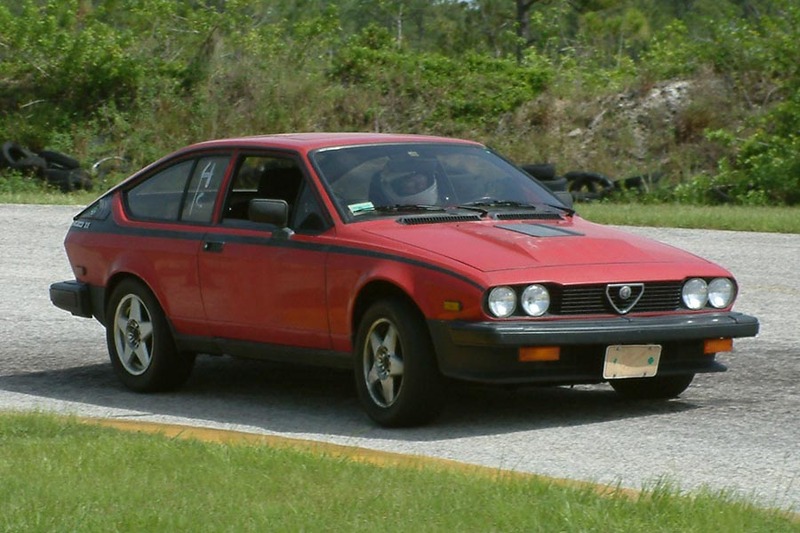 Marc Mosko could finally let loose his GTV with a 2.0 Twin Spark engine. 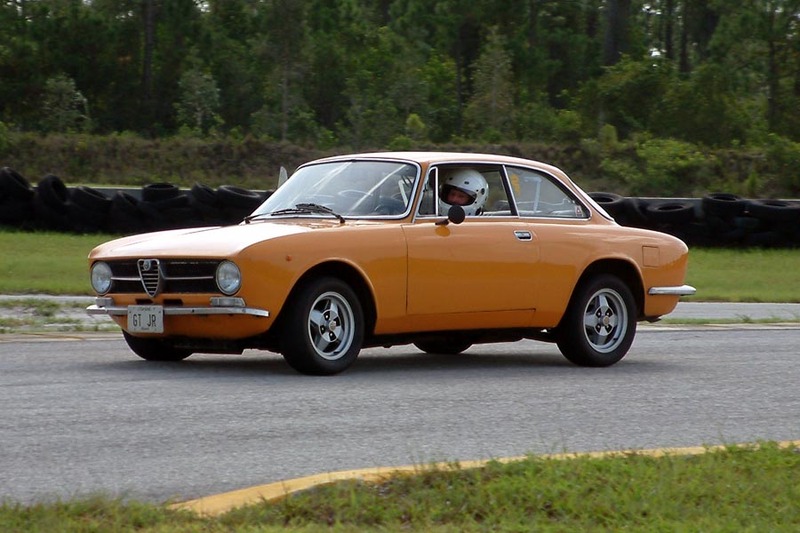 Dave Martin in his 79 GTV. 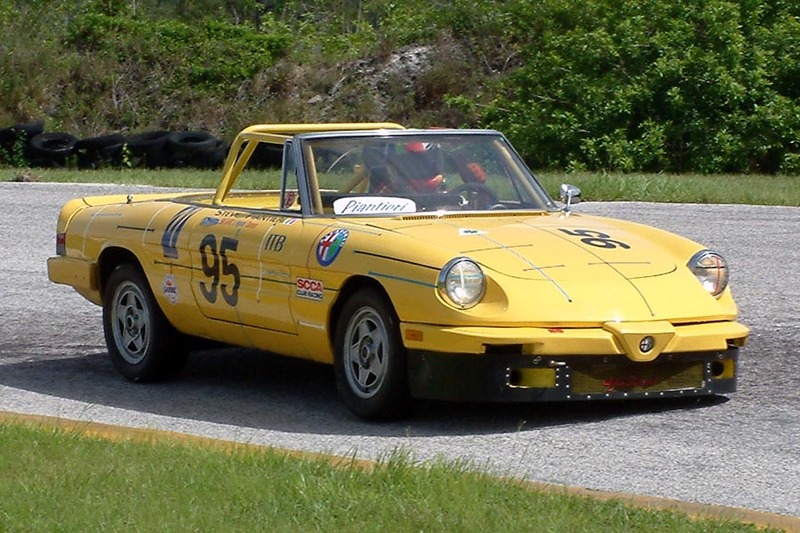 Rocky Meskauskas drove this highly modified 1990 Spider. 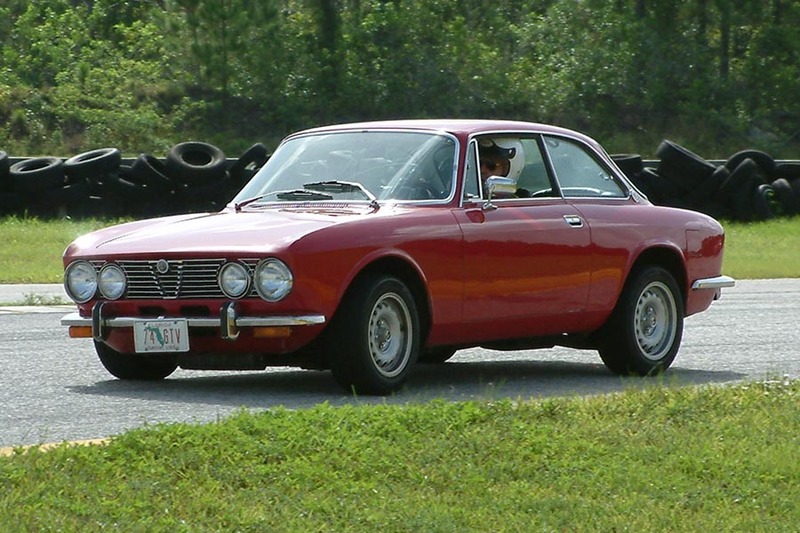 Eric Storhok drove this beautiful and fast GTV. 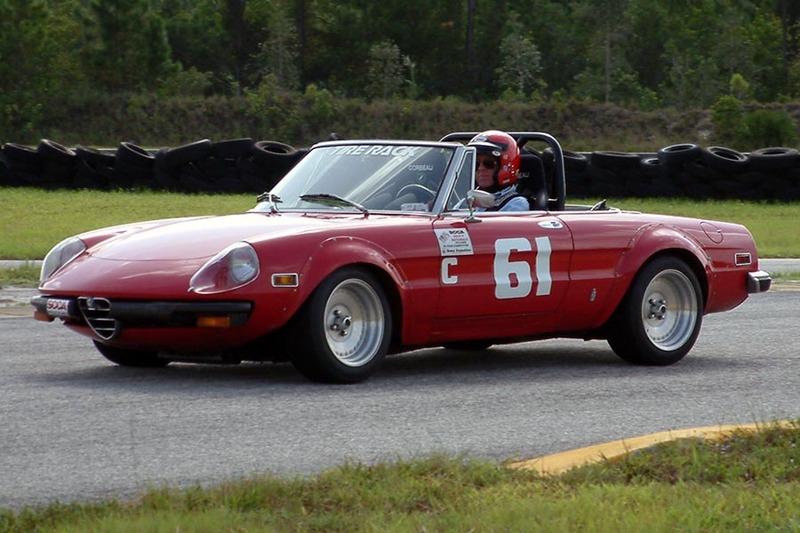 Brian Shorey and his GTV6. Frank Smith drove this orange GT Junior. Nice color! 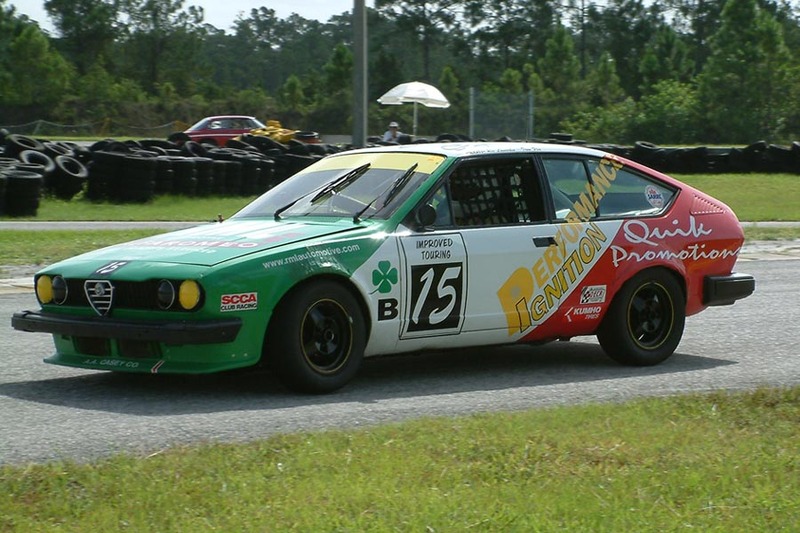 Who said that sedans can't be driven fast? 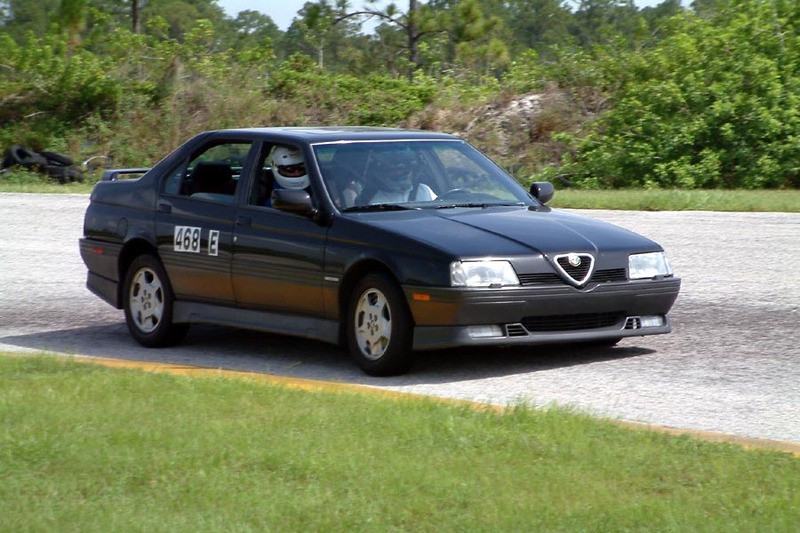 Ask Chip Denyko to ride in his Alfa 164 and hold on! 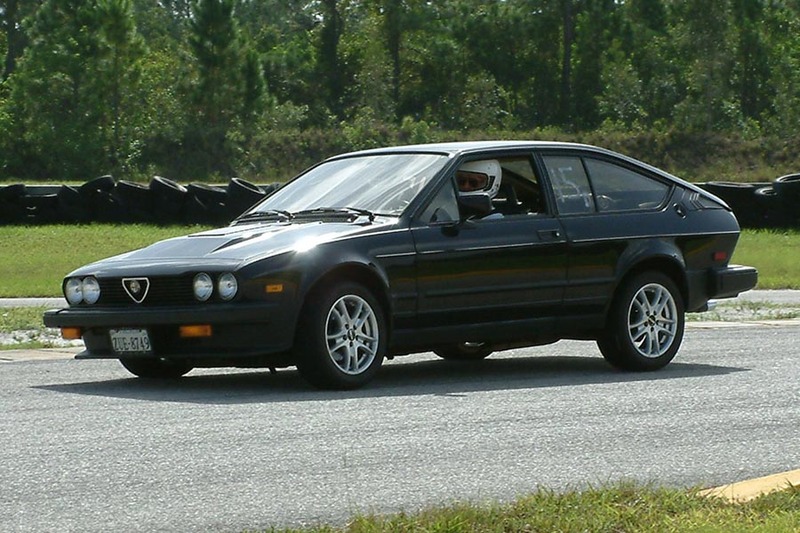 Brad Mellor in his black GTV6. 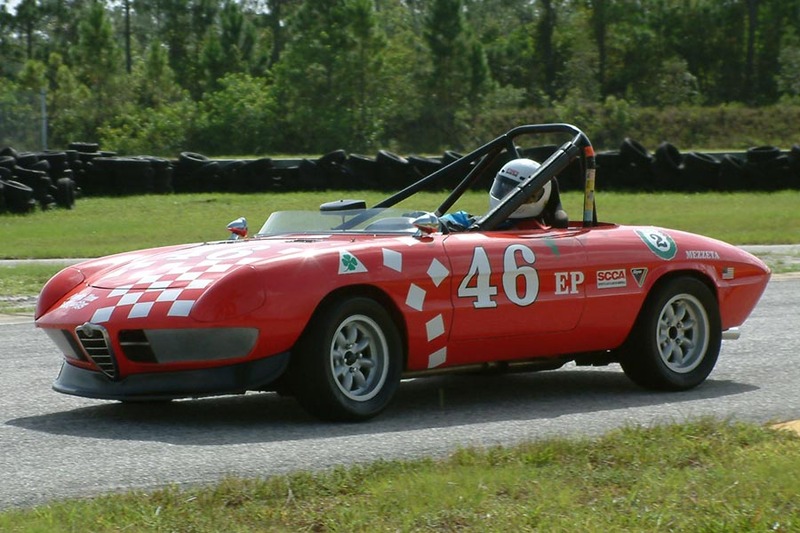 Jonathan Eismann in his 1967 Duetto. 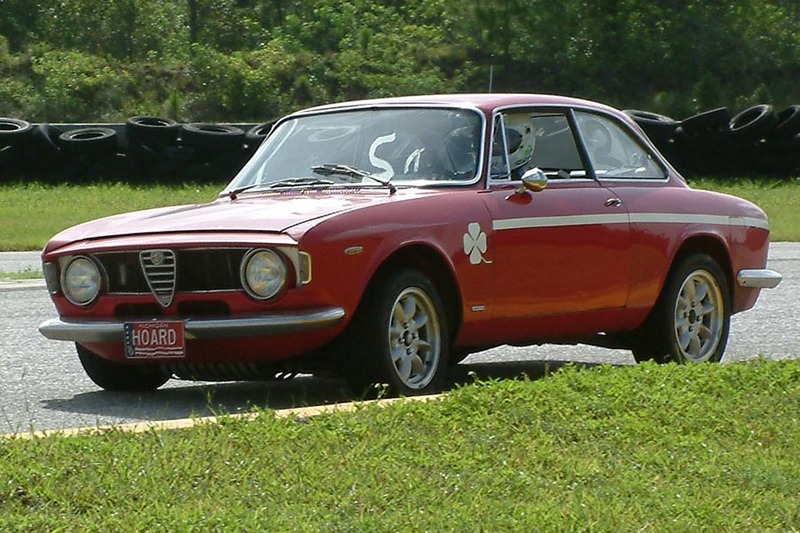 Christopher Silvestri had a blast driving this 1972 MG.
Art Taxman put his 1960 Ferrari 250 GT through its paces. 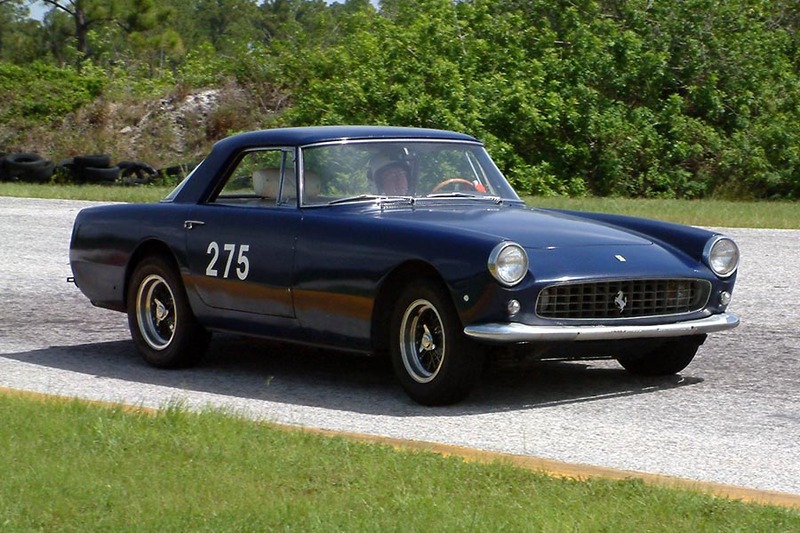 The 12-cylinder engine was a joy to hear. When he is not driving Alfas Don Dorra races Porsches... here he is with his latest toy! 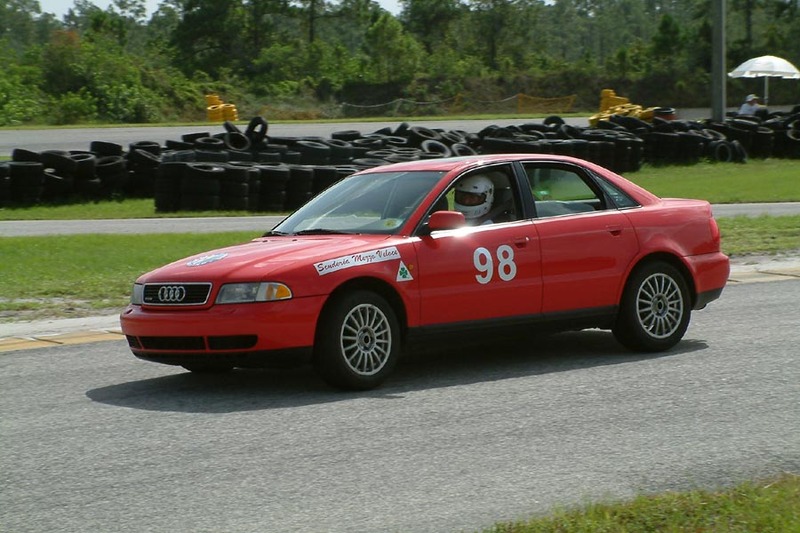 Jay Maveety drove this Audi Romeo.. dont' believe it? 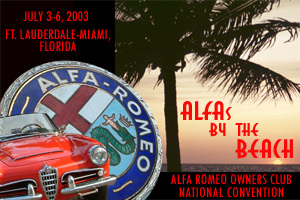 Look at the Alfa logo on the hood! A perfect day closing with a taste of South Florida's weather.... 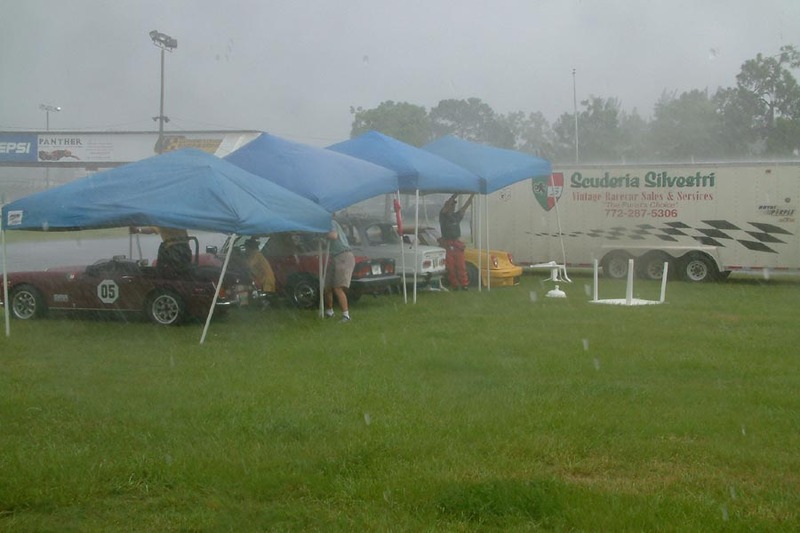 Here you can see the folks from Scuderia Silvestri riding the storm!